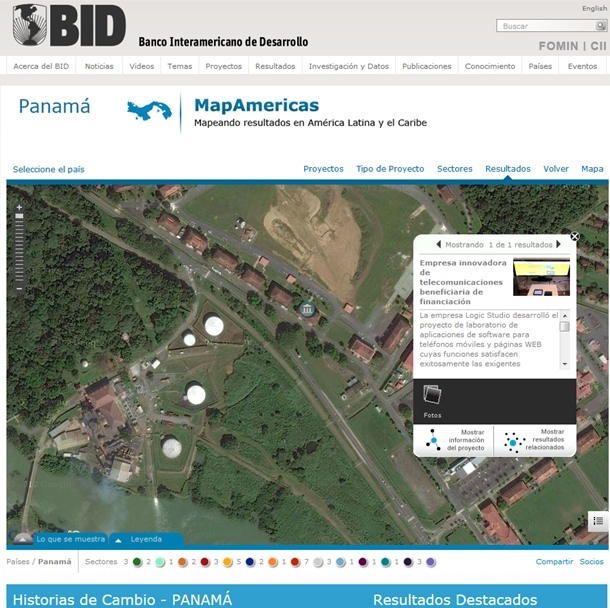 The Interamerican Development Bank is working with Panama in different programs for the development of the country, with support from IDB and SENACYT, and based on the successful results achieved Logic Studio has been included in the map Success Stories – MapAmericas – Mapping results in Latin America and the Caribbean. The company developed the project Logic Studio Lab software applications for mobile phones and web pages whose functions successfully meet the demanding needs of information technology and processes between corporations and users. The project, which included the purchase of equipment, software development and training abroad, was funded as part of the strategy to support the development of business innovation and competitiveness. We invite you to navigate the map and to learn from other successful projects.